When I investigated the second wines of Bordeaux in detail about five years ago for my book What Price Bordeaux?, I was not very impressed. 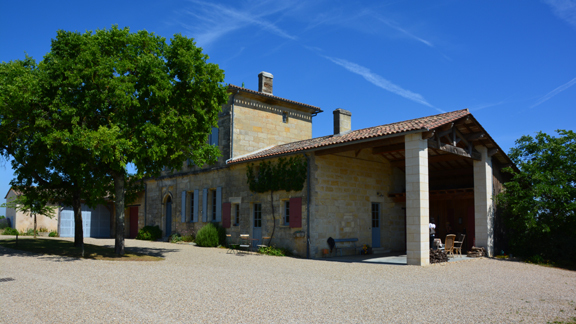 The impression given by the chateaux was that the second wines provided an opportunity to experience their expertise in the form of wines that were ready to drink sooner than the grand vins, in the same general style, but of course at lower cost. Declassified from the grand vin, these wines would come from vines that in another year might have gone into the grand vin. But this did not entirely accord with reality. Only a minority of second wines were in fact principally derived by declassification (usually from vines that were considered too young to contribute to the grand vin); most had become separate products coming from vineyards that rarely contributed to the grand vin. And most second wines on the left bank had a much greater proportion of Merlot than the corresponding grand vins, certainly making them ready to drink sooner, but also much reducing the resemblance with the style of the grand vin. When I held some tastings specifically to compare second wines with other wines available at similar price points, the consensus of both professional and amateur tasters was that they preferred the other wines. Rather than representing special value because of economies of scale or expertise coming from the grand vin, the second wines seemed to have prices that were inflated by the reputation of the grand vin. My tastings may also have been biased by the fact that they included some of what are always the very best second wines, those of the Premier Grand Cru Classés, which usually sell at prices around those of second growths. Although their second wines will be ready to drink sooner than the grand vins, I’m not sure there’s going to be so much difference as to justify the old description of second wines: certainly these at least are not for instant gratification. It remains true that most second wines still have more Merlot than the corresponding grand vins, but the reasons may have shifted a bit. 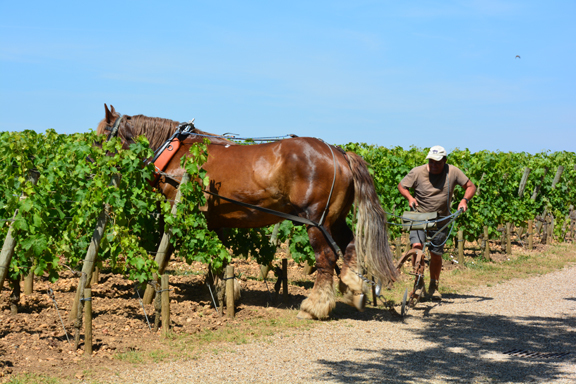 Problems with Merlot becoming too ripe limited the amount that could be used in some grand vins in 2009 and 2010. An incidental consequence is that some second wines have higher alcohol levels than the grand vins, a real inverse of the traditional situation that the best wines came from the ripest grapes. Are second wines good value? That’s the crux of the matter and I’m not sure I have a clear answer yet. When they did not seem to represent the style of the chateau, I felt that they could never be good value, no matter how much less in price than the grand vin, because they could not aspire to be the real thing. Now it seems that the quality and style are there; but lifted up by the huge increase in prices in 2009 and 2010, and the failure to reduce prices sufficiently in 2011, the wines seem expensive. Dark purple color. Fresh black fruits on nose with just a whiff of blackcurrants. Quite tight and constrained on the palate, showing elegant but tight fruits with firm tannins. At this moment it gives an impression of coming from somewhere between Pauillac and St. Julien, with the tautness of St. Julien but also the power of Pauillac. Slowly fruits of red and black cherries release in the glass. There’s a touch of heat on the finish. Very fine. 12.7% 90 Drink 2016-2026. Dark purple color, almost inky. Sight impression of nuts as well as black fruits on the nose. Fruits are more rounded, deeper, concentrated than on the Carruades, in fact more Pauillac-ish. Tight and reserved with fine tannins evident on finish. A very fine, classic structure for aging. 12.7% 92 Drink 2017-2032. Rather stern, brooding, black impression on nose. Dense fruits on palate with slightly nutty aftertaste. Insofar as you can tell at this early stage, this is more approachable than the grand vin because the structure isn’t so apparent, but it is pretty dense for a second wine. The style is somewhat similar to the grand vin, but with less roundness. 13.0% 90 Drink 2016-2026. Even sterner and more brooding than the Pavillon Rouge. Great fruit density hides the structure more than in the second wine, but then the austerity kicks in on the finish. Very dense and backward with the highest IPT (measure of tannins) ever recorded at Chateau Margaux. The vanillin or new oak is evident, but the nuttiness and perfume comes up the glass, suggesting a fragrant future. 92 Drink 2018-2030. Fresh nose of youthful red berry fruits; the fresh, light, palate follows with a slight bite on the finish, perfectly pleasant, but – at least not at this stage – showing much character. It’s quite a fine, elegant, style, and slowly some more chocolaty notes emerge on the finish, suggesting that the wine may round out as it develops, but I have some question as to how far this vintage really reflects the style of the chateau. A darker color than the Lalande Borie (which is effectively regarded as the third wine), this shows more classic sternness to the nose, and a lot more weight and roundness on the palate. Now we turn to black fruits, showing as blackberries tinged with blackcurrants, and you can see something of the style of the grand vin – second wines are certainly coming on. There’s a good sense of refined structure on the mid palate with the fruits showing restrained elegance in a style characteristic of St. Julien. 13.5% 89 Drink 2013-2022. Not so much darker than Croix de Beaucaillou as more purple in hue. Restrained nose gives impression of tight black fruits. Lots of concentration here, with the deep, black, fruits matched by tight tannins, but closed at the moment. Typical of the top level of St. Julien vis à vis Pauillac, the restrained elegance shows a fine texture of taut tannins. promising long life in the classic style. Fruits are certainly full, but not overbearing; reports of excess exuberance were exaggerated. 13.6% 93 Drink 2016-2031. Slightly nutty nose yet with some savory undertones. Round, elegant, soft, yet there is that underlying sense of the power of Pauillac. Although the tannins are supple, the wine is very restrained; the Cabernet seems more dominant than its proportion of 50%. The palate softens a little in the glass but the nose remains muted. The tannins need to resolve to release the elegance of the fruits. Even as a second wine, this is not for instant gratification, but needs time. 13.6% 90 Drink 2016-2031. Restrained nose with faintly nutty tones of blackcurrants. Softer and rounder, yet more concentrated, than Carruades. Tight grained tannins create a very fine texture, but show as dry on the finish. That hallmark core of elegance, of precision to the fruits, runs through the wine. Even after only a few months, the initial exuberance has calmed down. “The wine has had good evolution, the exuberance we had at the beginning is no longer there; at the en primeur I was not sure we were in Bordeaux, now we are coming back into Bordeaux,” says Director Charles Chevalier. It’s that smooth roundness on the palate and the long velvety finish that tells us this is Lafite, that quality of seamless layers of flavor is already beginning to show. 13.6% 94 Drink 2018-2038. The nose offers spicy sensations with cinnamon at the forefront. Fruits on the palate are intensely black, with blackcurrants, blackberries, and plums at the forefront. The underlying structure is tight, with firm tannins leaving a bite on the finish – but it’s a sense of grip rather than bitterness. The great fruit is partly hidden by the density of the tight supporting structure. This is going to need some time, but it should age for a very long time. 13.6% 92 Drink 2017-2029. I asked M. Engerer, the Gérant at Latour, when he thought this wine would be ready to start drinking. “Well it depends on your taste,” he said, “if you are new and young to wine, perhaps five years, but we might prefer to wait longer.” Personally I think it would be infanticide before a decade is up. The intensity is indicated by the inky appearance. The nose is quite restrained. The palate is more subtle than the Forts de Latour in that its components are less obvious, principally because of the balance of fruits and structure. There’s great fruit density, but it’s held back by the structure; on the other hand, the structure is less obtrusive than in the Forts de Latour because of the fruit density. The main impression here is of the reserve of the wine, of a sense of power holding back, so massively constructed that it will take a decade to come around. This will no doubt become a classic like great Latours of the past. 13.7% 94 Drink 2022-2040. More fruit evident than the Amiral, but still with classic mineral freshness of St. Julien. More generous on the palate, but also more evident depth and supporting structure. Very much in the character of St. Julien, elegant rather than powerful, with supple tannins giving a furry finish with chocolate overtones. Oak is evident in the soft impression of vanillin and nuts on the finish. Fine, but will be finer yet when the planned increase in Cabernet Sauvignon occurs. 13.85% 89 Drink 2015-2025. Typical Cabernet impression of fresh black fruits, following through to a light, elegant, palate, but with chocolate undertones. The Amiral is lighter than the Beychevelle but also a little more austere (perhaps because it has 58% Cabernet Sauvignon compared to Beychevelle’s 48%). The light underlying structure is a good balance to the fruits, with unusually classic representation for a second wine. This should age nicely for the mid term; drink over the next decade. 13.6% 87 Drink 2013-2022. Touch of garnet at rim shows start of development. Black fruit impressions have hints of spices. Very nicely balanced, developing well in the elegant style of St. Julien. Given the softness on the palate you would not think this was three quarters Cabernet Sauvignon, although there is a nicely defined structure. This gives a slightly fresher impression than the grand vin, almost you might say a tighter impression on the palate, because the fruits are not so well rounded. 13.0% 88 Drink now-2019. Rather restrained on the nose. First palate impression is of furry, chocolaty, tannins coating soft fruits – softer than the Amiral – and then the structure kicks in on the finish and you see the underlying strength of the wine for aging. Beautifully balanced, elegant, black fruits have lost the initial fat, but not yet started into middle development. The quality of the grand vin shows in a roundness that’s not on the Amiral. 13.0% Beychevelle 90 Drink now-2027.